Compliant or ISO 17025 accredited: Is there a difference? ISO 9001:2015 - Is your calibration program ready? AS 9100 and Calibration:It's time to get real! ISO 9001 or ISO 17025: How to choose a calibration company. Does it feel like you are exploring a wormhole when researching standards used in calibration? 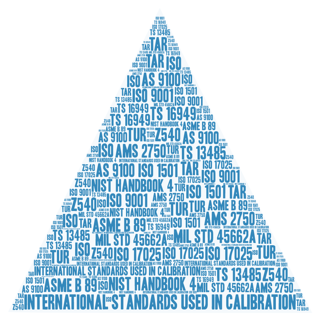 Here is a list of common international standards used in calibration. This standard covers the general requirements for the competence of testing and calibration laboratories. Expect to see a revision to ISO 17025 to be released late 2017 early 2018. It is similar to ISO 9001 in general requirements but is very specific in the technical requirements necessary to be an ISO accredited calibration and/or testing laboratory. Recently I was having a conversation regarding quality and the often used phrase came up- " All things being equal". This got me thinking, when are all things equal? "ISO 9001:2015 sets out the criteria for a quality management system and is the only standard in the family that can be certified to (although this is not a requirement). It can be used by any organization, large or small, regardless of its field of activity. In fact, there are over one million companies and organizations in over 170 countries certified to ISO 9001. Get an overview of ISO 9001 in this powerpoint presentation. If you want to know more about the revision of ISO 9001:2015 see our revision page. " 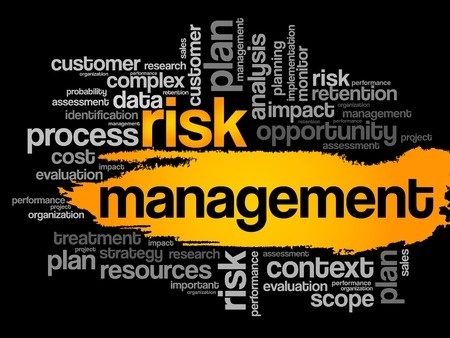 Recently I was in a discussion with several Quality Managers regarding ISO 9001:2015 and the focus on Risk. This standard is specific to aerospace. Specifically Quality Management system requirements for Aviation, Space and Defense Organizations. As of September 15, 2017 the latest revision is AS 9100D. The general principles of ISO 9001 are covered within this standard. AS 9100 has a history looking specifically risk assessment and analysis. One key tool used is the FMEA- Failure Mode Effects Analysis. You will also see the term Nadcap in relation to AS 9100. Nadcap is the National Aerospace and Defense Contractors Accreditation Program. This is an industry-managed approach to conformity assessment using technical expertise from all parties involved. The waters tend to get real muddy here. There are several versions of Z540. Z540-1 has been an American National Standard since 1994 and is rooted in MIL-STD 45662A. For a detailed discussion of Z540-1- Click Here. Z540.3 focuses on False Accept and is based the the NASA 89% rule. NCSLI has published an interpretation that is very useful. Click Here to read it. Was an ISO technical specification for the automotive supply chain. It is now managed by IATF- International Automotive Task Force. Similar to the general requirement to ISO 9001 it also specifically addresses calibration.IATF 16949 calls out the need for the use of ISO 17025 accredited calibration regardless if the calibrations are performed internally or externally. AIAG - Automotive Industry Action Group- released CQI-9 in March of 2006. The goal is to "include a reduction of campaigns, spills, recalls and warranty claims related to heat treated components. The management system will emphasize continual improvement, defect prevention and the reduction of variation and waste in the supply chain." This is achieved by performing a Heat Treat System Assessment- HTSA. ISO 13485 - Medical Devices are specifically addressed in ISO 13485. It is common for the FDA to regulate medical devices that are available in the United States. The FDA 483 insection reports and warning letters are publicly available documents that call out significant violations of 21 CFR, parts 210 and 211. MIL-STD-45662A - This standard has been cancelled. The fundamental aspects of MIL-STD-45662A are found in ISO 17025, ISO 10012 and Z540. ISO 17025 or ISO 9001: Which one is better? As a calibration company we are sometimes asked which is better ISO 9001 or ISO 17025 certification. That really is the wrong question. Both of these International standards are excellent. The reason we said it is the wrong question is because they each have a particular focus. What is the difference between ISO 9001 and ISO 17025? Management System towards those major groupings. ISO 17025 is focused on calibration and testing. You will see many similarities in the Quality Management System of both standards. All the technical journals are writing about the changes in ISO 9001 that are scheduled to roll out this year. One key aspect being discussed is Risk Management. The paradigm changes in ISO 9001 are already being discussed in regards to ISO 17025. Let's take a side by side look. A few key differences between ISO 17025 and ISO 9001. 1. ISO 17025 requires a demonstration of technical competence. 2. ISO 17025 requires traceability of measurements to standards. 3. ISO 17025 requires the application of measurement uncertainty. Which one is better? Still not the right question. They are different. ILAC (International Laboratory Accreditation Cooperation) and NCSLI (National Conference of Standards Laboratories) have written an excellent whitepaper on this topic. In this particular conversation, it was regarding compliant versus accredited. I don't think it is immoral, illegal or unethical to use the term compliant when advertising a companies qualifications. That said, there is a significant difference between being compliant and being accredited. Often the term compliant is used when a company offering goods or services is not accredited to the particular standard referenced to as compliant. I don't think it is immoral, illegal or unethical to use the term compliant when advertising a companies qualifications. That said, there is a significant difference between being compliant and being accredited. Often the term compliant is used when a company offering goods or services is not accredited to the particular standard referenced to as compliant. When I have my car serviced my preference is to use Certified Technicians as this gives me an added level of confidence that they have been trained and tested on they skills they have achieved certification. The business and employees have invested time and money to demonstrate competence. All things being equal, I then look for technical expertise and demonstrated competence in my particular brand of automobile. A certified mechanic in engine rebuilding may not necessarily be certified in wiring harnesses. Likewise, a certified Ford mechanic may not have the knowledge to repair a Scion. Am I talking apples and oranges? Yes. All things are rarely equal. All things being equal, I then look for technical expertise and demonstrated competence in my particular brand of automobile. A certified mechanic in engine rebuilding may not necessarily be certified in wiring harnesses. Likewise, a certified Ford mechanic may not have the knowledge to repair a Scion. Am I talking apples and oranges? Yes. All things are rarely equal.Likewise, a certified Ford mechanic may not have the knowledge to repair a Scion. Am I talking apples and oranges? Yes. All things are rarely equal. The assessment by independent 3rd party auditors is a long established practice in accreditation. Medical Device manufacturers can receive ISO 13485 accreditation while Automotive manufacturers seek TS 16949. Both are accreditation standards, but very different manufacturing processes. Air Balancing professionals and Electrical Apparatus service centers have their own professional criteria for certification. Aerospace has AS 9100 and NADCAP. PhRMA companies are subject to 21 CFR and GMP. Food manufacturers are subject to HACCP. Accreditation to standards and compliance to best practices are common throughout all sectors of our economy. Accreditation is used as a benchmark by many companies seeking suppliers to reduce variation. Accreditation to a standard means a 3rd party has audited the company for conformance to the standard. As an example, you can view our Scope of Accreditation. This can become a very sophisticated discussion, but that is not the purpose of this article. What is the major difference in being compliant and accredited in calibration? An accredited company must have a scope of accreditation that articulates what measurement disciplines they have demonstrated competence to a 3rd party auditor and their best measurement capability. The claims made have been verified through independent auditing. A compliant company has no obligation to do so nor are they held accountable by an independent body for any claims made. ILAC( International Laboratory Accreditation Cooperation) and NCSLI( The National Conference of Standards Laboratories) are independent organizations that have no financial gain in their policy statements or position papers. ILAC and NCSLI have put together an excellent 2-page article on the differences between being compliant and accredited. The release of ISO 9001:2015 has many companies reevaluating how they do business. Why? While inherent in every business model, the concept of Risk-based thinking now requires a more articulated approach to measure inputs and outputs. So, where does calibration fit in Risk-based thinking and where is calibration mentioned in ISO 9001:2015? ISO 9001:2015 is focused on Risk-based thinking. Calibration is intrinsic in Risk-based thinking in1.3.3, Inputs and Outputs in 4.4.1, the necessary Infrastructure to accomplish this in 7.1.3, measurement traceability in 7.1.5.2(the actual word calibration is mentioned) and performance Evaluation in 9.1 just to name a few. It is highly unlikely that risk can be managed without a calibration program. In fact ISO 9001:2015 when viewed holistically requires more attention to your calibration program. It is no longer enough to just "calibrate" equipment and process, you now must actually use the data provided to determine if it is appropriate to your Risk Policy. We have written several articles that help explain some of the terms used in calibration to help you as a consumer make better informed purchases and decisions about calibration and what the data is telling you. The word Calibration: What does it really mean? Onsite Calibration: Is it always the best choice? Choosing the proper Measurement and Test Equipment(MTE) has always required an understanding of instrument resolution and tolerance and measurement uncertainty. The methods and criteria used for the selection of Measurement and Test Equipment is threaded everywhere in ISO 9001:2015 as part of risk based thinking. A sticker and a certificate/report are not adequate. You must read the calibration report/certificate and make fit for use conclusions looking at all contributors to risk. We see this as a challenge for many companies so we will continue to write articles that explain all these terms. Don't know where to start? Download our calibration checklist. ISO 9001:2015- Is your calibration program ready? The discussion focused on what tools/techniques people would be using for Risk Assessment, Risk Management and Mitigation. The numbers of tools available is almost limitless and everyone had a good sense of where they were going to focus. There was keen focus on Process and Supplier Management. What did not come up in the conversation was calibration. So I brought it up. How are you going to assess your risk from your calibration program, I asked. What exactly do you mean? Where does calibration introduce risk? We use an accredited Lab. While I would never discourage anyone from using an ISO 17025 accredited Lab for external calibrations, that alone does NOT mitigate or manage your risk. 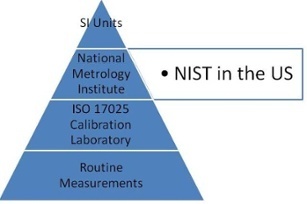 Traceability- physical standards used must have an unbroken chain of traceability through NIST or another NMI(National Metrology Institute) back to the SI Unit. Measurement Uncertainty- it is critical to look at this number as part of your risk management program. Don't measure a gage block with a ruler! The end user of calibration must look at the tolerance of the product being manufactured and determine if Measurement & Test Equipment used is suitable. Take the value recorded on your calibration report/certificate and add/subtract the measurement uncertainty. Is that number good enough for your end use? Flow through Measurement Uncertainty- What are the contributors to measurement uncertainty through your entire process? Draw a process map. What are the critical measurements? Dimensional? Time? Temperature? Vibration? Rotational? Humidity? etc. These contributors must be accounted for as part of your risk management strategy. We have prepared a Calibration Audit Checklist that can assist you in evaluating your calibration program from a risk perspective. The download would be too large if we covered everything possible, but you should find it valuable in starting your path looking at calibration from a risk perspective. 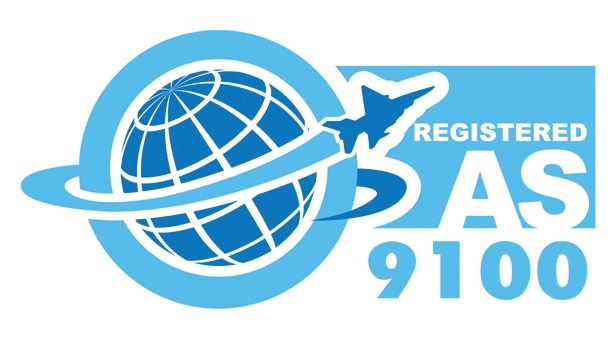 AS9100 and Calibration: It's time to get real! AS9100 standards are on schedule for 2016 revision publication. MRO or Manufacturer: changes are coming. Will you be prepared? AS9110- It is critical that you support your airworthiness operations with a thorouhly vetted calibration prgram. What is your selection process for a calibration vendor? Do you require ISO17025 accreditation? AS9115- How are handling your calibration asset management? Document control? With the advent of more cloud based programs cybersecurity measures must be in place to ensure records integrity. AS9120-Inspection is a crtical peice in the prevention of counterfeit parts. 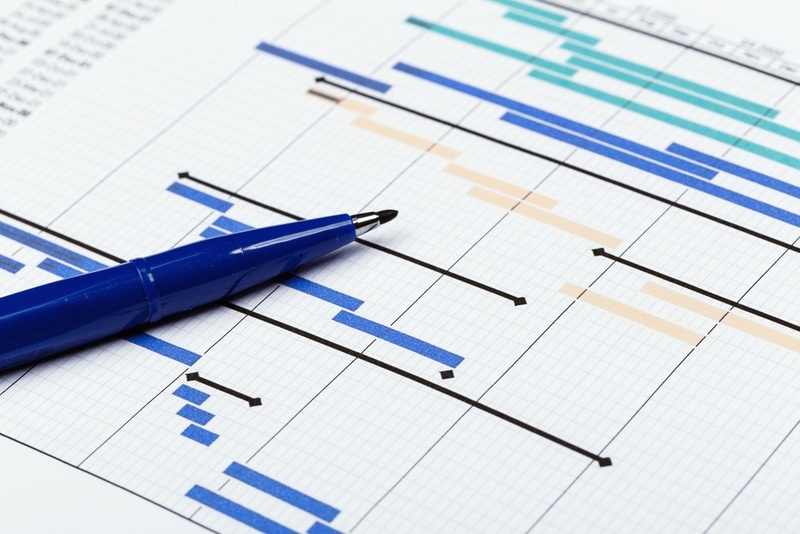 Is your current calibration schedule adequate? How are you determining calibration intervals? The IAQG (International Areospace Quality Group) has an excellent synopsis of the changes that will be rolled out. If you are not using an ISO 17025 accredited calibration company you may want to learn more about the difference between ISO9001 or ISO17025 accreditation. The reality is not every ISO 17025 accredited calibration laboratory is capable and competent to perform your specific calibration. A calibration laboratory's competence is stated in their Scope of Accreditation. The Scope of Accreditation tells you what specialties (Disciplines) have been validated by an independent accreditation body and what is the best measurement they can provide. These 2 pieces of information are critical when selecting a calibration provider. Review the Scope of Accreditation and best measurement capability before issuing a purchase order. An ISO 17025 accredited laboratory will have a stated measurement uncertaintyfor each discipline on its scope of accreditation. This measurement uncertainty allows the end user to evaluate a calibration laboratory's best measurement capability. This really does make a difference. If you need a device calibrated that can measure 1 psi does it make sense to have it calibrated by a laboratory that has its best measurement capability of +/- 5 psi? Laboratory Accreditation Bureau- LAB- an independent 3rd party accreditation body has developed a guide for the Purchasing and Evaluation of Calibration. Appendix A and B in this document are checklists that will guide you in evaluating potential calibration suppliers. A unique identifier for each item submitted for calibration. Specific calibration points to checked or number of measurements across a range. The calibration interval- how often it needs to be calibrated. Any specific industry standards or procedures to be followed. Calibration report to contain before and after data. Calibration report to contain measurement uncertainty. Some calibration companies charge extra for the above services and you need to specify this on your RFQ to determine the total cost. What you need to know about Z540 and Calibration. Here is what you need to know about Z540.3 and Calibration. Test Uncertainty Ratio- Section 3.11 provides a definition of TUR. Look at your boilerplate RFQ for calibration. Our experience is that it is still common practice to see TAR- Test Accuracy Ratio of 4:1 called out in the terms. You really need to understand what you are asking. You may want to read TUR:What is it? Clear Objectives for Your Calibration Program- Section 4.1 requires that you "establish, document, operate and improve" your calibration program. The basis for your calibration can be customer requirements, legal or regulatory or experiential based. The bottom line is you need to use a well articulated thought process for why you calibrate something. Clear Identification of Equipment- Section 5.2.1 calls out the need for unambiguous identification of equipment and calibration status. While a calibration sticker is not required, there must be some method that clearly identifies the equipment and calibration status. Defined Calibration Intervals- Section 5.4.1 requires the end user not the calibration company to define the calibration interval. In addition, the calibration needs to be based on a review of data. Simply stating 6 months without relevant data to support that decision is not good enough. NCSLI provides an excellent resource -RP-1: Establishment and Adjustment of Calibration Intervals. As Found Data- Section 5.2.3.1 requires the end user to look at the data BEFORE adjustment(if any) and make a determination as to the impact on product quality. 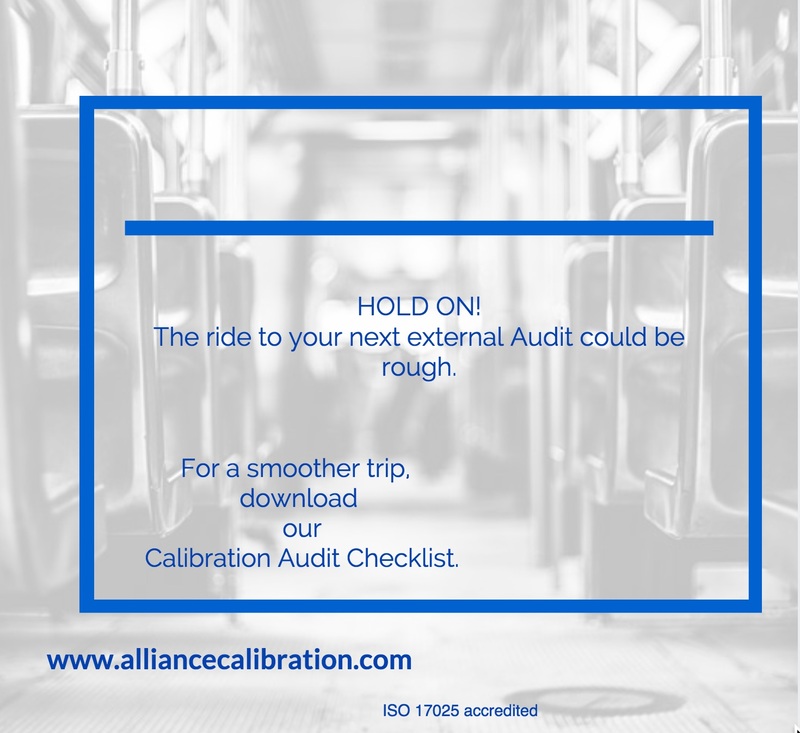 Calibration System Audit- Section 6.2 requires an independent audit of the calibration system and these audits must be documented. Select a competent calibration provider- Section 5.3 specifically mentions ISO 17025 accreditation as a measure of competence. As an 17025 accredited provider of calibration services conflict arises when those unfamiliar with ANSI Z540.3 ask us to make decisions that must be made by the end user. As the end user of the calibration equipment you need to have an open dialogue with your calibration provider. While we did not cover everything about Z540.3 and calibration we hope this will assist you in having a better informed conversation with your calibration provider. In the world of metrology, the three letter acronyms (TLAs) TAR, TUR, and CMC are routinely bantered about like exam scores. Bigger TARs and TURs with smaller CMCs led to the “Scope Wars” of the 90s and early 2000s. For the quality professional however, all these TLAs have just made the world of metrology more confusing. The calibration world had just gotten past the NIST numbers argument when people started trying to compare scopes of accreditation with TAR/TUR requirements. As early as the 1930s the “Gage Maker’s Rule of Ten” was regularly understood to be good measurement practice. The basic concept was that the tool used to make a measurement should be ten times as accurate as that object being measured. This was later codified in the 1960 version of the military standard MIL-C-45662. Oddly enough this statement was removed two years later in the 1962 version MIL-C-45662A. Calibration Measurement Capability. Formerly “BMC” Best measurement Capability. First codified in ISO Guide 25. So, what is the difference between TAR and TUR and why is CMC something completely different? The verbiage used in the military standards up through Z540.1 for TAR were actually defining what we currently understand as TUR. The change was made because the non-governmental definition of TAR was different. The word accuracy presents an ambiguity in this case that has yet to be resolved. Test uncertainty ratio can be clearly defined as the ratio of the combined uncertainties of a measurement system to the precision of the measurement that is being made. Here the combined uncertainties are clearly defined byJCGM 100:2008 Evaluation of Measurement Data – Guide to the expression of uncertainty in measurement (commonly referred to as the GUM) and precision is simply the tolerance of the measurement being performed. In the late 1980s the calibration world was divided along two different paths. On one side was the governmentally required MIL-STD-45662A standard for calibration activities, and on the other was the voluntary consensus standard ISO Guide 25. ISO Guide 25 accreditation gave calibration laboratories a “Scope of Accreditation” and with it the ability to publish their “best” measurement capabilities. Guide 25 evolved with elements ofZ540.1 to give use ISO 17025. Neither Guide 25 nor ISO 17025 make reference to any form of decision rules even though they were present at several levels of the draft stages of the document. I don’t know exactly why decision rules were removed from the draft standard. My best guess would be that there are a small number of parameters where TAR/TUR don’t work. Relative humidity is a prime example. The best labs in the world are capable of about 0.5%. This would put primary labs at 2% and calibration labs at 8% with a 4:1 rule. By the time a measurement was performed in the field the best measurement performed would be 32%. TAR and TUR are decision rules. They answer the question how “good” does a measurement need to be to make a statement that a measurement meets a specification. Whenever a measurement is made there is a range of values in which the actual measurement can be found. We refer to this as measurement uncertainty. If this range of values overlaps an “out of tolerance condition” there is a possibility of a false positive or negative result. Tolerance ratios and guardbanding are two common methods used to prevent false accept conditions. A false accept condition is when an “out of tolerance” condition appears to be within tolerance. Unfortunately, it really is not possible to decipher a TAR/TUR from a CMC. A calibration company’s CMC contains data associated with a unit under test(UUT). Contrary to what some may see as common sense one cannot compare the measurement uncertainty on a calibration certificate to the tolerance and arrive at a TUR. When comparing a calibration system to a required measurement precision the UUT is not considered. This means the value that is used to calculate TUR can be significantly smaller than what is published on an ISO 17025 scope of accreditation. If your quality system or industry requires TAR/TUR, then your calibration provider needs to be aware of it. If you are asking for TAR, it is also of extreme importance that you are both defining TAR the same way. Also if you don’t believe a calibration provider can meet your TUR requirement based on their published scope of accreditation, then you should ask anyway. We should also keep in mind the bigger picture. The purpose of TAR/TUR is to prevent false acceptance of nonconforming items. There are more ways to achieve this than simple accuracy ratios, and exploring some of those options may reduce calibration costs and downtime dramatically. The recent changes to ISO 9001:2015 have caused some confusion about how to select a calibration provider. ISO 9001 never has and still does not address technical competence. A key distinction between ISO 17025 and ISO 9001 is technical competence. In order to obtain ISO 17025 accreditation a laboratory MUST have a management system that meets the principles of ISO 9001. This is clearly stated in the introduction: " Testing and calibration laboratories that comply with this International Standard will therefore also operate in accordance with ISO 9001." While the 2015 revision does address risk management and that certainly includes calibration, it does not address critical areas of technical competence. ISO 17025 accreditation goes past just having quality management system.As a consumer of calibration one way to access technical competence is to look at the Scope of Accredited services. The "Scope" articulates what parameters the laboratory has demonstrated technical competence. This are typically shown as the major headings such as " Electrical- Capacitance" or "Length-Hand Tools and Precision Gages". The subheadings would then call out common terms such as caliper, micrometer, Capacitance-source, etc. Specificity of competence is then drilled down by the range of demonstrated competence. When comparing Scopes of Accredited services, different laboratories may both be accredited for calipers. One may have a range of 0-60 inches while the other has a range of 0-120 inches. This is important to know because one laboratory has demonstrated competence across a broader range. This does not necessarily mean that one laboratory is better or worse than the other. The Scope will also include Expanded Measurement Uncertainty. It is critical that the consumer of calibration services understands what this means. In simplest terms this is the +/- in a measurement. This really speaks to the suitability/capability of a laboratory to provide you with a meaningful calibration. Example: two laboratories may be accredited for Thermometers. One has a measurement uncertainty of 0.12◦C while the other has 1.0◦C. As the consumer of calibration services you need to know this to determine which laboratory is capable of providing the calibration best suited for your specific needs. Just because a laboratory is ISO 17025 accrediteddoes not mean they are capable of provided the calibration you need. As pointed out above ISO 9001 does not provide any evidence that a laboratory can provide you with accurate and reliable calibration. We hope we didn't lose you in the weeds! ILAC- the International Laboratory Accreditation Cooperation has an excellent resource you may want to read. Section 1.3 of CQI-9 specifically mentions ISO 17025 - general requirements for the competence of testing and calibration laboratories. Section 3.1 Thermocouples gives clear instructions on calibration. 3.1.2 Calibration of Thermocouples requires traceability of calibrations to NIST or the appropriate National Metrology Institute. 3.1.2.1 requires all thermocouples be calibrated prior to use and calibrated in the range they will be used. 3.1.2.2 requires calibration certificates include actual temperature reading, nominal test temperature, correction factor, who performed the calibration and method used. 3.1.2.3 does NOT allow interpolation for values above or below the actual calibration test points. Note: This is why it is extremely important to specify calibration ranges on your calibration request and purchase order to your calibration company. Further instructions are given for Heat Treat System Assessment in Section 3 -Equipment of CQI-9 forms. "The calibration and certification of the process equipment shall be checked at regular specified intervals." "Temperature uniformity surveys shall be conducted ..."
A1.4 Furnace weigh scales shall be verified quarterly quarterly and calibrated annually at a minimum. A1.5 requires minimum annual calibration of Dewpointers, 3-gas analyzers, spectrometers ad combustion analyzers. A1.9 requires hardness testing equipment be calibrated at least annually. A1.11 requires refractometers be calibrated annually. A2.3 requires a SAT- System Accuracy Test. A2.7 Infrared pyrometers shall be calibrated annually. 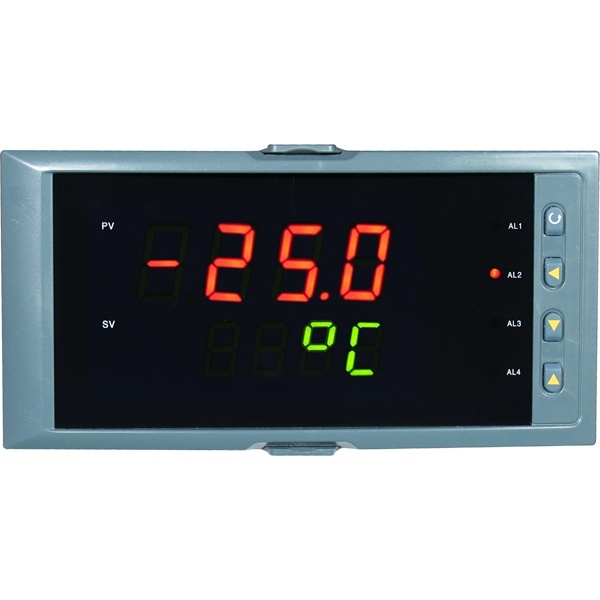 It is also implicit in meeting customer requirements the all recording devices such as temperature controllers be calibrated. Table 3.1.1 requires a calibration accuracy of ± 1.1°C process thermocouples. Table 3.1.2 requires a calibration accuracy of ±0.6°C for primary and secondary standards. Table 3.1.3 specifies the calibration intervals for thermocouples and what standards be used. Table 3.1.5 specifies the number of times a thermocouple can be used. Calibration requirement for instrumentation is specified in CQI-9 section 3.2. 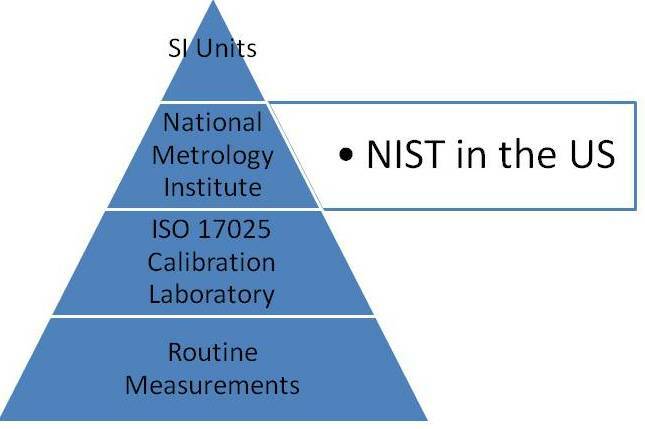 3.2.1.1 requires traceability of calibrations to NIST or the appropriate National Metrology Institute. 3.2.1.2 requires that any external calibration be ISO 17025 accredited. 3.2.4 requires calibration of all control, monitoring and recording instruments quarterly unless you perform a System Accuracy Test- SAT- quarterly. 3.2.5 covers everything required on a calibration report/certificate and calibration status sticker. Date the calibration was performed. Due date of the next calibration. Technician who performed the calibration. Temperature & Humidity during calibration. Before and After data (if no adjustment is made then before=after). Statement of acceptance - sometimes interpreted as Pass/Fail. Limitations of calibration if any. Due date of next calibration. Name of calibration source- external company name. Internal sign-off of calibration results.
" When using a system that creates electronic records the system shall create write-once, read-only electronic records that cannot be altered without detection." You should thoroughly review CQI-9 Table 3.2.1 Instrument Calibration Requirements.